Mozilla has launched version 1.0 of their Firefox web browser for standalone VR headsets. Announced back in April, Firefox Reality uses the Quantum engine, the high-speed tech that has powered the latest versions of Mozilla’s program. Utilizing this open source solution will allow users to experience seamless immersive content at their favorite sites. Whether you’re visiting a standard site or diving into augmented reality, Mozilla’s tool is ready. While Firefox Reality supports text input via a virtual keyboard, that isn’t always the easiest way to surf in VR. Punching text into your phone can already be a hassle, so adding in VR’s inherent blindness only worsens the situation. Mozilla is quick to point to voice input as a possible solution. Like other mobile search solutions, text fields in Firefox Reality has an option to translate your speech into text in real-time. This frees your hands to use your pointer controllers, grab at some chips, or whatever else you can imagine. 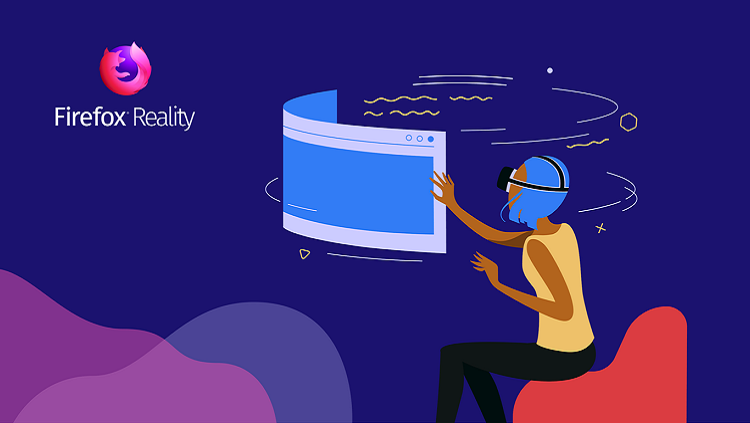 When you first open up Firefox Reality, you’ll find a curated feed of the type of immersive sights and sounds that stretch the tech’s muscles. You’ll also get a background environment to look at outside the browser window, saving you from the lonely digital void. Outside of fancy VR-centric content, Mozilla has strived to make Firefox Reality familiar to current Firefox users. Features you expect like Private Browsing are already in place. Other vital features, like Bookmarks and separate profiles, are coming very shortly. 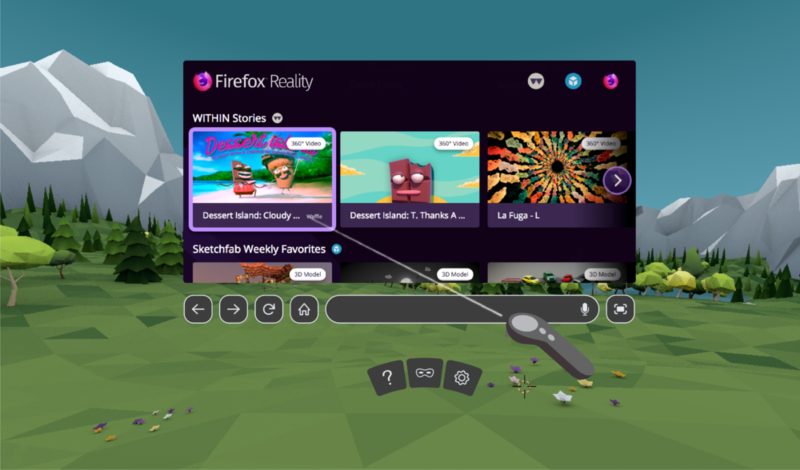 Firefox Reality is available for Oculus Go, Google Daydream and all-in-one devices running Vive Wave.